I finished this book over a month ago, and have not been able to formulate my thoughts on it, because I didn’t really care for it, but I can’t pin down why. It’s not badly written at all, and it has some interesting ideas, but there’s nothing truly outlandish about it all–it’s speculation about, at most, ten or twenty years from now–and the plot and characters seem unadorned. 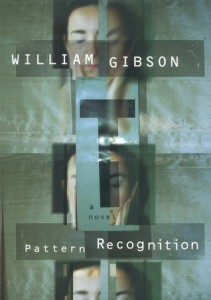 This is, of course, in comparison to William Gibson’s earliest books, the more pyrotechnic Neuromancer or Mona Lisa Overdrive. The stylistic quirk of this novel, the oh-so-first-person, seems too studied and not organic or flashy, as it often broke me out of the fourth wall of the novel, reminding me that I was indeed reading and not experiencing. To me, Gibson is like a rock musician who’s left his blues roots and has taken to dabbling in classical music. While it may be rewarding for him, and even some of his dedicated fans, others are a little bewildered by his change, including me. Gibson’s peer, Bruce Sterling, has been able to do his dabbling on the side, but still release every now and then a work that recalls his original stuff, albeit in a more mature style. I’m of the opinion that Gibson, instead, has thrown out the mirrorshades with the virtual world, leaving something basic, just not as appealing. Your mileage may vary, and I’ve not written Gibson off yet. At least, compared to some musicians and authors, he is trying to still challenge himself.